Mass Effect Minimates are now in effect! 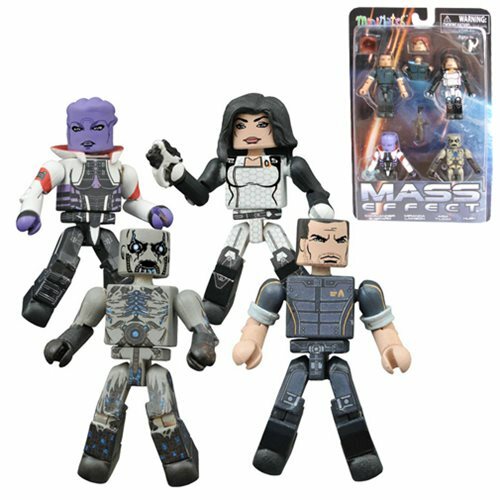 This 4-pack of characters from the popular Mass Effect video game trilogy includes Commander Shepard (with John and Jane heads), Cerberus officer Miranda Lawson, Pirate Queen Aria T'Loak and a zombified human Husk. Each 2-inch Minimates mini-figure features 14 points of articulation, as well as fully interchangeable parts and accessories. Packaged in a full-color blister card. Ages 13 and up.